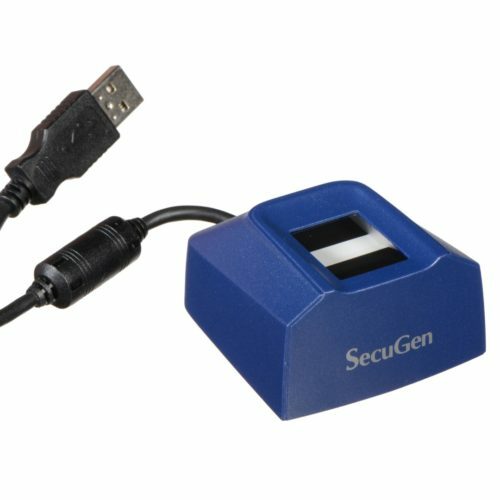 Futronic’s FS26 USB2.0 Fingerprint Mifare Card Reader/Writer combines a fingerprint scanner and an ISO14443A compatible MIFARE card reader/writer into one device. Live Finger Detection (LFD) is built in into FS26. The LFD allows to reject fake fingers made from silicone rubber, play-doh or other materials. 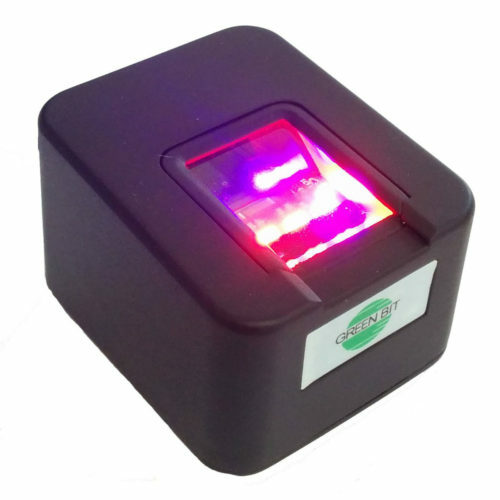 The fingerprint and MIFARE card readers can be used together for two-factor authentication. A fingerprint template is stored on the card and can be compared with a fingerprint scanned with the fingerprint scanner. Also the fingerprint reader and MIFARE card reader can be used separately. 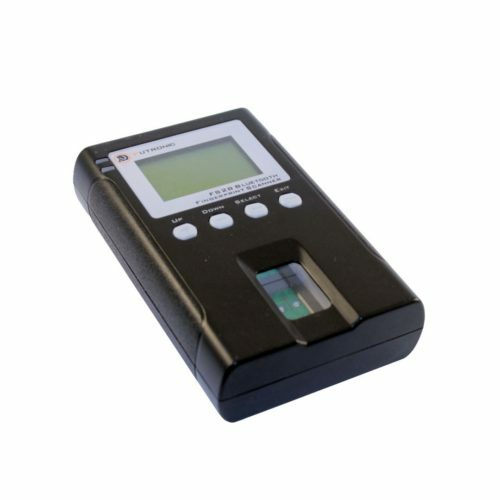 The MIFARE card reader allows to perform all necessary operations with cards: read, write, erase, copy or format card. 1 KB and 4 KB MIFARE cards are supported. 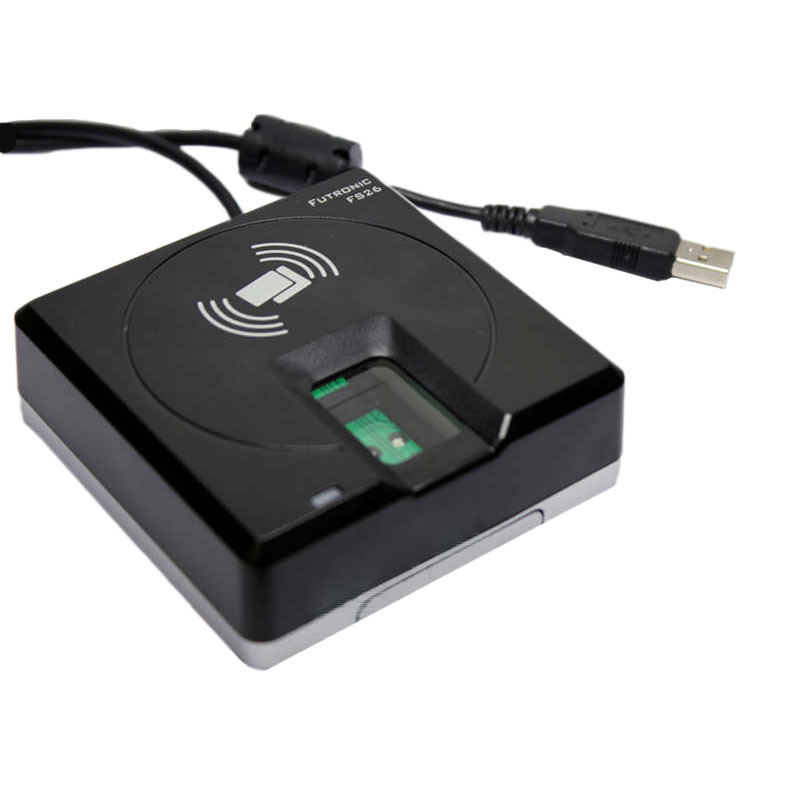 See also FS82 fingerprint and ISO/IEC 7816 smartcard reader. MIFARE card reader & writer – FS26 can read data from and write data to MIFARE cards. Two-factor authentication – allows to match what you own (a fingerprint) with what you carry (a card that stores the fingerprint template).